Lee Man (Aaron Kwok), a member of a notorious money counterfeiting ring, is arrested in Thailand and extradited back to Hong Kong. 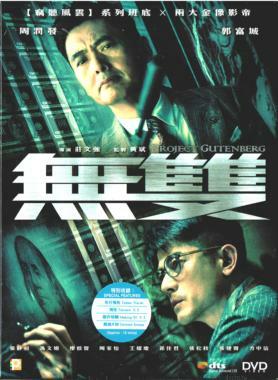 Thanks to renowned painter Yuen Man (Zhang Jing-chu), Lee is offered a deal by the police: Reveal the identity of Painter (Chow Yun-fat), the charismatic leader of the counterfeiting ring, and Yuen can bail him out. Lee has no choice but to comply and recount his story: In the 1990s, Lee and Yuen were lovers living together in Vancouver, seeking to be seen in the art world. However, success eludes them, and Lee is forced to go make counterfeit paintings to make a living. Lee’s counterfeit paintings catch the eyes of Painter, and he decides to recruits Lee to join his team. Together with Painter’s elite team, Lee travels the world in search of technologies to create the “Super Dollar,” a counterfeit bill that circumvents….